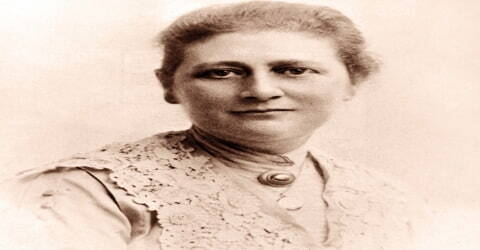 Beatrix Potter – English writer, illustrator, natural scientist, and conservationist. 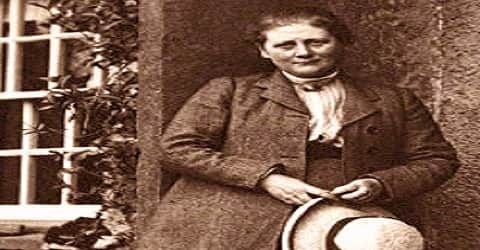 Beatrix Potter may be a familiar name in children’s literature, but it is lesser-known that she was also a notable woman of science, was born on 28 July 1866, in London, England. She is one of the most beloved children’s authors of all time. Born into an upper-class household, Potter was educated by governesses and grew up isolated from other children. She had numerous pets and spent holidays in Scotland and the Lake District, developing a love of landscape, flora, and fauna, all of which she closely observed and painted. In 1902, Potter published The Tale of Peter Rabbit, which launched her career as a children’s author. More than 20 other books for young audiences soon followed. Potter’s tales of Peter Rabbit, Jemima Puddle-Duck, Benjamin Bunny and others have become children’s classics. Her stories about Peter Rabbit and the other fictional animal characters she created served as an outlet to her frustration in failing to enter into a career in science. These books transported us into a world of fantasy were made possible by a self-made, creative genius named Beatrix Potter. This exceptional writer began exploring the world of art and literature from a tender age when she began maintaining a journal that contained several sketches. She also made entries written in a coded language that she herself had created, and it was later discovered that these were honest accounts of the British lifestyle during that period. Her literary works clearly displayed her love for animals and children alike, since they were written in an easy-going style, revolving around personified pet critters. 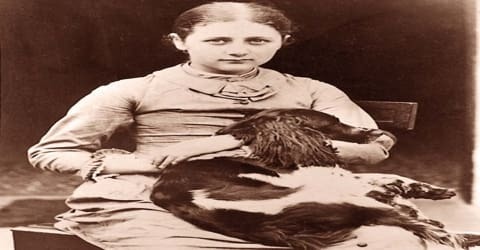 In all, Beatrix Potter wrote thirty books; the best known being her twenty-three children’s tales. With the proceeds from the books and a legacy from an aunt, in 1905 Potter bought Hill Top Farm in Near Sawrey, a village in the Lake District which at that time was in Lancashire. Over the following decades, she purchased additional farms to preserve the unique hill country landscape. 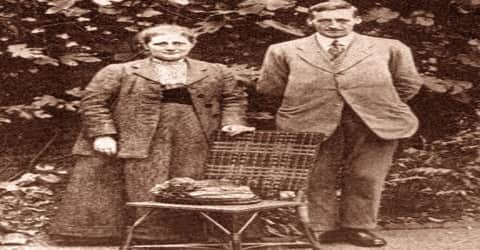 In 1913, at the age of 47, she married William Heelis, a respected local solicitor from Hawkshead. Potter was also a prize-winning breeder of Herdwick sheep and a prosperous farmer keenly interested in land preservation. She continued to write and illustrate and to design spin-off merchandise based on her children’s books for British publisher Warne until the duties of land management and her diminishing eyesight made it difficult to continue. As a woman who faced the brunt of gender discrimination during her lifetime, she showed immense confidence in her capabilities. Not only did she make a name for herself as an illustrator and writer, she also developed her own theories on fungi, another field that she was deeply passionate about. This revered author proved her mettle in various fields of work, proving what she strongly believed in, “Most people, after one success, are so cringingly afraid of doing less well that they rub all the edge off their subsequent work”. 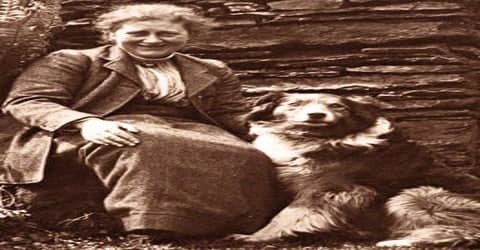 She is credited with preserving much of the land that now constitutes the Lake District National Park. Potter’s books continue to sell throughout the world in many languages with her stories being retold in song, film, ballet, and animation and her life depicted in a feature film and television film. 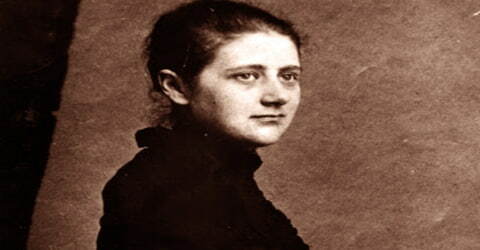 Helen Beatrix Potter was born On July 28, 1866, in Kensington, London, Engto Rupert William and his wife Helen Leech. Her father was an influential lawyer and also a novice photographer. Her father, Rupert William Potter (1832–1914), was educated at Manchester College by the Unitarian philosopher Dr. James Martineau. He married Helen Leech (1839–1932) on 8 August 1863 at Hyde Unitarian Chapel, Gee Cross. Beatrix’s parents lived comfortably at 2 Bolton Gardens, West Brompton, where she was born and her brother Walter Bertram on 14 March 1872. Her parents mingled with politicians, writers, and artists, and enjoyed drawing and painting immensely. Beatrix possessed a keen eye for details which showed in the art she created from her younger years through to adulthood. The young girl had a brother, Walter Bertram, who was six years younger. Both children were tutored at home by three different teachers; amongst them, Beatrix was fond of Annie Moore, her German teacher, who was not much older than the students. Both the siblings were extremely fond of animals, with rabbits, porcupines, and mice being some of their favorite pets. They always accompanied each other on their holiday trips to the Dalguise settlement in Scotland, and later the Lake District, close to Windermere. Beatrix grew up to be a very shy girl and would rarely share her thoughts with anyone. She wrote in a secret diary using a code that only she could understand. Her interest in natural science was spurred when her uncle who was a chemist gave her permission to use his microscope and other equipment. She would study and inspect plants, insects, and animals, and she would draw each of them in great detail. In the late 1870s, she began studying at the National Art Training School. Her Journal was important to the development of her creativity, serving as both sketchbook and literary experiment: in tiny handwriting, she reported on society, recorded her impressions of art and artists, recounted stories and observed life around her. The Journal, decoded and transcribed by Leslie Linder in 1958, does not provide an intimate record of her personal life, but it is an invaluable source for understanding a vibrant part of British society in the late 19th century. It describes Potter’s maturing artistic and intellectual interests, her often amusing insights on the places she visited, and her unusual ability to observe nature and to describe it. Started in 1881, her journal ends in 1897 when her artistic and intellectual energies were absorbed in scientific study and in efforts to publish her drawings. As a child, Beatrix was highly inspired by classic literary works like ‘Book of Nonsense’ by Edward Lear, Charles Kingsley’s ‘The Water Babies’ and Lewis Carroll’s ‘Alice in Wonderland’, amongst several other similar stories. Her talent as an artist was first identified by painter Sir John Everett, who was Potter’s father’s friend. She was brought up in a household where her parents gave her enough freedom to pursue her interests and hence she was provided higher education at home. Her favorite subjects included botany, taxonomy, mycology, and archaeology. In 1905, the young painter went against her parents’ wishes and got engaged to Norman Warne, who edited and published her first classic, ‘The Tale of Peter Rabbit’. This relationship however never culminated into marriage since Warned succumbed to leukaemia the following month. Beatrix met William Heelis, a tall, handsome solicitor who was 5 years her younger. He became Beatrix’s legal adviser and Beatrix’s husband of 30 years. The marriage did not bear them any children. By 1890, Beatrix began designing her own greeting cards for the holiday season. Her illustrations of Benjamin Bunny, one of her pet rabbits, became particularly popularly and were soon purchased by a company named ‘Hildesheimer and Faulkner’. Her artistic and literary interests were deeply influenced by fairies, fairy tales, and fantasy. She was a student of the classic fairy tales of Western Europe. As well as stories from the Old Testament, John Bunyan’s The Pilgrim’s Progress and Harriet Beecher Stowe’s Uncle Tom’s Cabin, she grew up with Aesop’s Fables, the fairy tales of the Brothers Grimm and Hans Christian Andersen, Charles Kingsley’s The Water Babies, the folk tales and mythology of Scotland, the German Romantics, Shakespeare, and the romances of Sir Walter Scott. As a young child, before the age of eight, Edward Lear’s Book of Nonsense, including the much loved The Owl and the Pussycat, and Lewis Carroll’s Alice in Wonderland had made their impression, although she later said of Alice that she was more interested in Tenniel’s illustrations than what they were about. One of her most famous works, The Tale of Peter Rabbit, started out as a story she wrote for the children of a former governess in a letter. Potter later transformed this letter into a book, which she published privately. In 1892, Potter got acquainted with respected botanist Charles McIntosh, which resulted in her developing a stronger interest in the lives of fungi. In this respect, the aspiring mycologist even produced several sketches of their reproductive processes. Within the next two years, ‘Hildesheimer and Faulkner’ had once again bought her paintings to include them in famous children’s books like ‘Our Dear Relations’ and ‘Changing Pictures’. In 1902, Frederick Warne & Co. brought this delightful story to the public. Their new edition of The Tale Of Peter Rabbit quickly became a hit with young readers. More animal adventures soon followed with The Tale of Squirrel Nutkin (1903) and The Tale of Benjamin Bunny (1904) among other stories. Norman Warne worked as her editor on many of these early titles. Working with Norman Warne as her editor, Potter published two or three little books each year: 23 books in all. The last book in this format was Cecily Parsley’s Nursery Rhymes in 1922, a collection of favourite rhymes. Although The Tale of Little Pig Robinson was not published until 1930, it had been written much earlier. Potter continued creating her little books until after the First World War, when her energies were increasingly directed toward her farming, sheep-breeding and land conservation. The Brer Rabbit stories of Joel Chandler Harris had been family favourites, and she later studied his Uncle Remus stories and illustrated them. She studied book illustration from a young age and developed her own tastes, but the work of the picture book triumvirate Walter Crane, Kate Greenaway and Randolph Caldecott, the last an illustrator whose work was later collected by her father, was a great influence. When she started to illustrate, she chose first the traditional rhymes and stories, “Cinderella”, “Sleeping Beauty”, “Ali Baba and the Forty Thieves”, “Puss-in-boots”, and “Red Riding Hood”. But most often her illustrations were fantasies featuring her own pets: mice, rabbits, kittens, and guinea pigs. Beatrix suffered a great personal loss in 1905 when Norman Warne died. He passed away just weeks after he proposed to her. Her parents, however, had objected to the match. She bought Hill Top Farm in the Lake District that same year and there she wrote such books as The Tale of Tom Kitten (1907) and The Tale of Samuel Whiskers (1908). It was in South Kensington Museum that Beatrix Potter further developed a keen interest in natural science. She was eager to learn more about botany (study of plant life), mycology (study of fungi) and entomology (study of insects). She started a detailed study of them when she turned 21. Her drawings showed in great detail how lichens, a common type of fungi found on rocks and trees, were actually not one but two different organisms that lived together. Her studies showed that this was a union between an alga and a fungus. She was the first Briton to recognize this fact and was also among the first few in the world who realized this. It took her 13 long years to complete her research and finalize her paper on her discoveries. Beatrix’s theory was not given the support that it needed. To prove her point, she published the thesis paper, ‘On the Germination of the Spores of the Agaricineae’. This paper was presented in front of the ‘Linnean Society’ by her mentor George Massee, in 1897. Sometime later, however, Potter took back her paper, recognizing certain flaws in her work. In 1923 Beatrix bought a large sheep farm in the Troutbeck Valley called Troutbeck Park Farm, formerly a deer park, restoring its land with thousands of Herdwick sheep. This established her as one of the major Herdwick sheep farmers in the county. She was admired by her shepherds and farm managers for her willingness to experiment with the latest biological remedies for the common diseases of sheep, and for her employment of the best shepherds, sheep breeders, and farm managers. In 1922, this successful writer compiled her preferred nursery rhymes and illustrated them in a book titled, ‘Cecily Parsley’s Nursery Rhymes’. The following year, the artist bought the ‘Troutbeck Park Farm’ in Troutbeck Valley, and became a renowned Herdwick sheepherder. She published The Fairy Caravan in 1926, but only in the United States. She thought the book was too autobiographical to be released in England. The Tale of Little Pig Robinson (1930) proved to be her final children’s book. Instead of writing, Potter focused much of her attention on her farms and land preservation in the Lake District. She was a successful breeder of sheep and well regarded for her work to protect the beautiful countryside she adored. Beatrix continued to write stories and to draw, although mostly for her own pleasure. Her books in the late 1920s included the semi-autobiographical The Fairy Caravan, a fanciful tale set in her beloved Troutbeck fells. It was published only in the US during Potter’s lifetime, and not until 1952 in the UK. Sister Anne, Potter’s version of the story of Bluebeard, was written especially for her American readers, but illustrated by Katharine Sturges. A final folktale, Wag by Wall, was published posthumously by The Horn Book Magazine in 1944. Potter was a generous patron of the Girl Guides, whose troupes she allowed to make their summer encampments on her land, and whose company she enjoyed as an older woman. 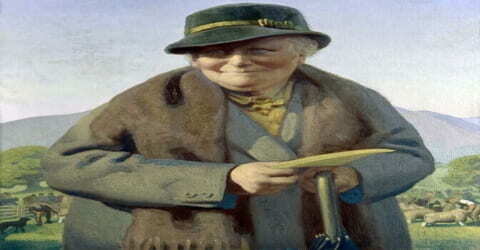 Beatrix Potter continued buying patch after patch of land as she continued to enjoy living surrounded by nature. The British Natural Trust eventually became recipient to her donation of 4,000 acres of land which includes 15 farms and cottages. By doing so, Beatrix hoped to further pursue her dream to provide land for the creatures that she grew to love. By the late 1920s, Potter and her Hill Top farm manager Tom Storey had made a name for their prize-winning Herdwick flock, which took many prizes at the local agricultural shows, where Potter was often asked to serve as a judge. In 1942 she became President-elect of the Herdwick Sheepbreeders’ Association, the first time a woman had ever been elected but died before taking office. In December 2017, the asteroid 13975 Beatrix Potter, discovered by Belgian astronomer Eric Elst in 1992, was named in her memory. 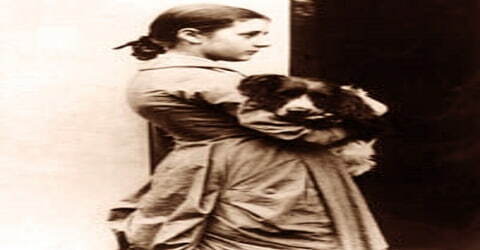 Beatrix Potter died of bronchitis, on December 22, 1943, in Sawrey, England. Her remains were cremated at Carleton Crematorium. Upon her death, the secret diary she kept as a child was also released, setting forth a story of frustration for not being given the chance to pursue her passion for science early on. She left nearly all her property to the National Trust, including over 4,000 acres (16 km2) of land, sixteen farms, cottages, and herds of cattle and Herdwick sheep. 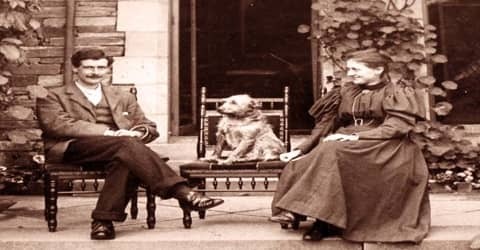 Hers was the largest gift at that time to the National Trust, and it enabled the preservation of the land now included in the Lake District National Park and the continuation of fell farming. The central office of the National Trust in Swindon was named “Heelis” in 2005 in her memory. William Heelis continued his stewardship of their properties and of her literary and artistic work for the eighteen months he survived her. When he died in August 1945 he left the remainder to the National Trust. 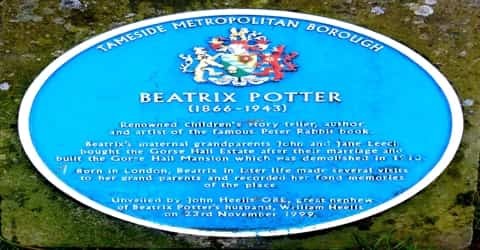 The most famous literary work produced by Potter was her first published book, ‘The Tale of Peter Rabbit’. The story, which was written for her close friend’s five-year-old son, Noel, follows the adventures of a naughty little rabbit. The book, which is still considered timeless, became so popular that it was translated into thirty-six other languages. Potter gave her folios of mycological drawings to the Armitt Library and Museum in Ambleside before her death. The Tale of Peter Rabbit is owned by Frederick Warne and Company, The Tailor of Gloucester by the Tate Gallery and The Tale of the Flopsy Bunnies by the British Museum.